Transportation, Rooms, Evening Presentation and Meals are all included! ILPA Discount: Members of the International Landscape Photographers’ association will receive a **$100 refund** on their registration. Contact me requesting your refund after registering and I’ll refund you $100 after confirming your membership to ILPA. This refund needs to be claimed before October 1st to allow time for processing. Contact me after registering to collect your refund! Have you ever wanted to experience the famous Fall colors of the mountainous Cabot Trail on Cape Breton Island? You can. 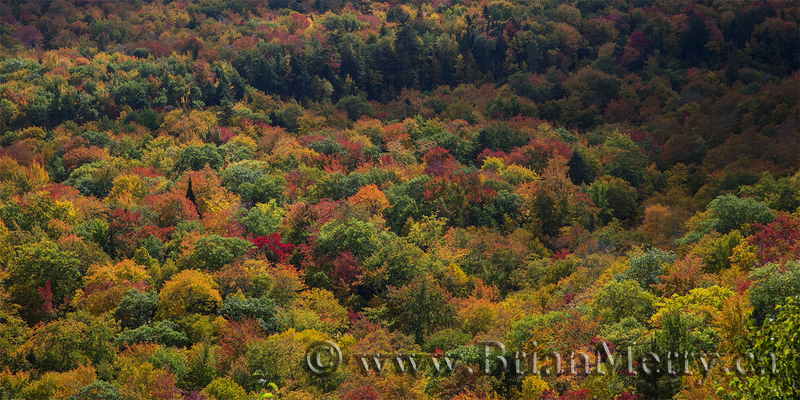 We can photograph the red and gold carpet of maple trees draping over the rolling Cape Breton Highlands together. These beautiful ancient mountains are on the Northern edge of the Appalachian Mountain chain. They rise 1500 feet straight out of the sea along Cape Breton’s Northwestern shoreline. They are spectacular! This is your chance experience them on this all inclusive landscape photography tour. Did I mention I know this end of Cape Breton like the back of my hand? I do. 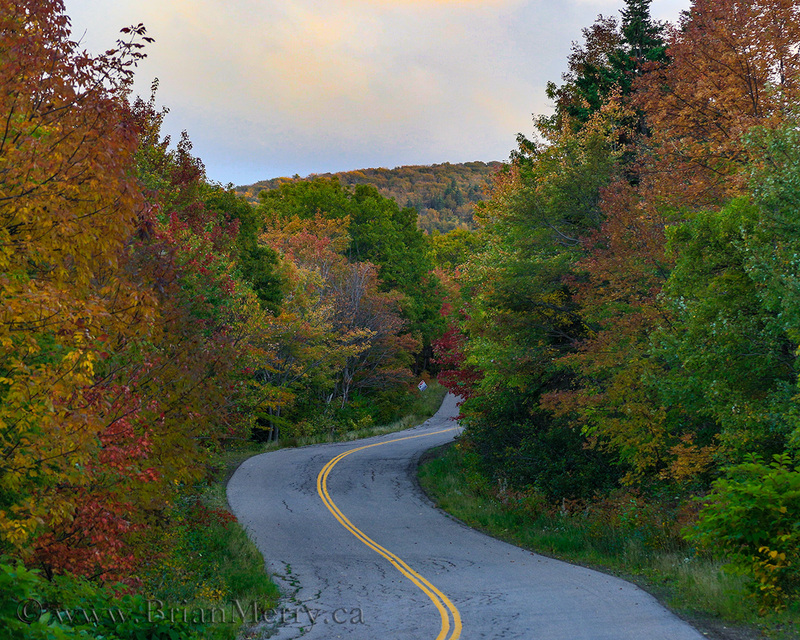 I grew up in Nova Scotia experiencing the Cape Breton Fall colors first hand every year. We’ll be staying on the rugged eastern side of the Cape Breton on the first night of the tour. We’ll be in one of the most beautiful little villages on the East side of the trail, North River Bridge. 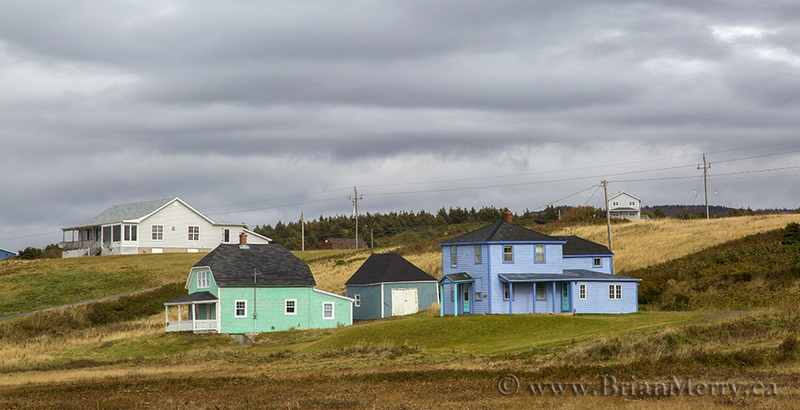 On the second night we’ll be in the small, busy little fishing village where my family is from, Cheticamp, NS. Cheticamp is just minutes away from the Cape Breton Highlands National Park which provides us with beautiful photographic opportunities on day 2 and day 3 of the tour. On the second night of the tour we’ll be staying at the Cheticamp Motel on the Western shore of Cape Breton. This Motel is owned and operated by my parents. I have many fond memories spending Summers here during my teenage years. The local and Family charm on this leg of our tour is a beautifully unique feature that you won’t find readily on any other tour. Honestly, seeing my parents and I interact can be quite entertaining. I have decades of outdoor photography tour and workshop design, management and delivery experience at venues literally around the World. But, my mom and dad still treat me like their little boy. I love it, and I think that you will too! Join me as I show you the best of the largest mountains on Cape Breton Island during the usual peak of the Maple tree fall colours. Sit back, pull out your camera and tripod, and enjoy the spectacular maple trees of Cape Breton Island in all their glory. The timing of the fall colours is not guaranteed, but between Oct. 15 -22 is the usual peak of colour along the Cabot Trail on Cape Breton Island. And we’ll there there right in the middle of the peak. We’ll base ourselves at the ideal location in Cheticamp, NS, which is just 10 kilometres from the famous Cape Breton Highlands National Park. Meals and accommodations are included. We’ll tour around the Trail and photograph the colourful maple forests and the numerous river valleys as we travel. We’ll be photographing on the sub arctic plateau found in Western Cape Breton Island National Park, Canada’s second oldest National Park, and along the beautiful picturesque road that many thousands of people have travelled around the World to see, The Cabot Trail. I’m going to show you the best of the best that this area has to offer. Will you come with me to see it? You can reach me to talk about the tour here. I’ll reply in a timely manner with a phone call or an email if you prefer. I’m excited about this tour and this place. I’d be happy to talk with you about it. We’ll meet at 3:30pm at the start/end of the Cabot Trail at the “Red Barn Gift Shop and Restaurant.” The Red Barn is located at the intersection where the Cabot Trails starts and finishes. The Red Barn is located about 10 kms South of Baddeck on Friday, Oct. 18, 2017, After we sign the pre-tour paperwork, the waivers, we’ll drive North photographing our way to our Home for the for the night a few hours North of Baddeck. After checking in we’ll heard out to photograph the Sunset at a nearby location. In the evening there will be an outdoor photography presentation following dinner to provide some landscape photography instruction and inspiration for the weekend. We’ll start with sunrise close to the Inn followed with breakfast at their restaurant on site. After breakfast we’ll be off on a tour of Atlantic Ocean side of the Cabot Trail stopping frequently for photographs as we travel North on the Cabot Trail travelling around the Northern end of the Island. As we drive counterclockwise around the Cabot Trail throughout the day we’ll be photographing beautiful waterfalls, mountains, coastlines and of course, the brilliant Fall colors that the Cabot Trail is Famous for! As we approach Cheticamp we’ll be photographing some of the best scenery that the Cabot Trail has to offer. We’ll be photographing at classic landscape locations of Cape Breton Island from various vantage points throughout the day. Some of the best locations in this Northern part of the trip are only known to locals. I know of them because I spent much of my teenage years here growing up on Northwestern Cape Breton Island. We’ll check into the Cheticamp Motel late in the afternoon and then shoot the sunset close to Cheticamp. After Sunset we’ll head back for dinner before part 2 of the landscape photography presentation. We’ll start the day with tea/coffee/juice and muffins before heading out for a sunrise photography session on a beautiful local sandy beach. We’ll be utilizing some of the the techniques that you learned from the landscape photography presentations that you’re saw over the past two days. After Sunrise we’ll head back to the motel for breakfast, and then check out. After leaving Cheticamp and heading we’ll head South continuing our journey around the Cabot Trail. Today we’ll be photographing the rugged Acadian shoreline and the famous Margaree Valley. Late in the afternoon we’ll complete our circular tour of Cabot Trail, ending back where we started, at KM 0 of Trail, close to Baddeck. This is where we’ll pick up your cars and say our farewells. ** The itinerary is weather dependent and may change due to weather conditions and/or other extraneous conditions that may arise. This flexibility is needed to ensure that I deliver the best tour possible to you given my experience in the area and the present weather/industry conditions. I love Cape Breton Island, and I’m going to enjoy showing it to you. If you’re travelling from away, I recommend that you fly into Halifax International Airport and rent a car from there that you reserved ahead of time. Baddeck is a 3.5 hour direct drive from the airport through the spectacular countryside of Nova Scotia. From the Halifax International Airport exit the airport grounds and drive to highway 102. Turn right onto highway 102 and travel north to Truro, NS. When highway 102 ends 4 kms past Truro turn right, heading East, onto the Trans Canada, highway 104, and drive to Cape Breton Island. Once across the causeway and onto Cape Breton Island in Port Hastings the Trans Canada Highway changes it’s number to highway 105. Continue heading North towards Sydney, NS. In about 45 minutes you’ll meet the start of the Cabot trail, and the tour. I’ll meet everyone at “The Red Barn” restaurant and Gift Shop. For those of you planning to arrive a day earlier I recommend that you rent a motel room in Baddeck overnight. The nice little trendy town of Baddeck is about 10kms from the start/end of thew Cabot Trail. It will be a short drive for you from town to the tour start meeting location. Are you travelling from away and want to extend your trip to Nova Scotia? If you are travelling from outside of Atlantic Canada you may want to arrive a few days earlier to photograph some of the beautiful landscapes on the mainland of Nova Scotia while basing yourself out of Halifax. Many spectacular landscapes may be found within an hour drive of the city. Some of these landscape include the world famous Peggy’s Cove lighthouse is a mere 30 minute drive from Halifax and you can park 100 meters from the light. I recommend being there for a sunrise while you’re visiting Halifax. You may also want to visit the Minas Basin, Annapolis Valley, the Eastern Shore, Prospect Cove and the Shubinacadie River Valley. Around Halifax he maple trees turn to their fall colors about a week before they do in Cape Breton. If you’re going to extend your trip to explore around Halifax then you should do it before the tour starts as opposed to after the tour. You won’t be disappointed if you do. You may want to arrive a week earlier and photograph some of the beautiful landscapes on the mainland of Nova Scotia while basing yourself out of Halifax. There are many spectacular landscapes within an hours drive of the city. 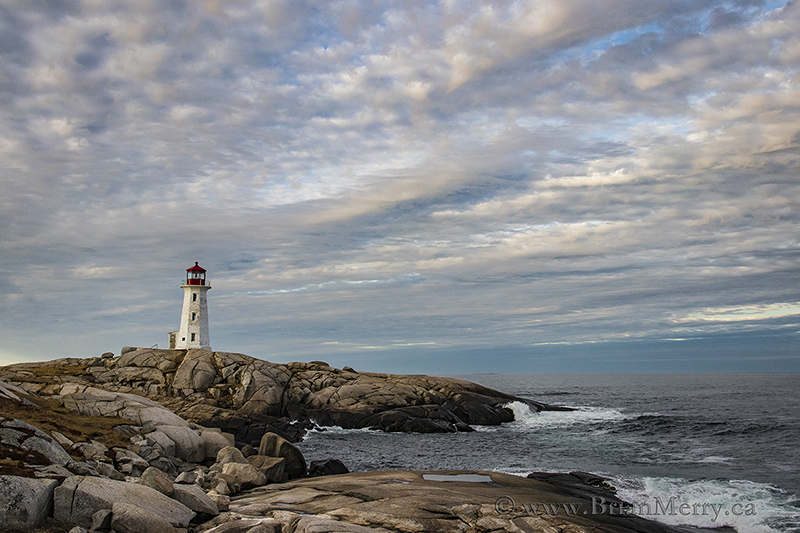 The world famous Peggy’s Cove lighthouse is a mere 30 minutes from downtown Halifax and you can park 100 meters from the light. I recommend being there for a sunrise and going on a photowalk afterwards around the fishing boats and wharves in the cove. You may also want to visit the Minas Basin in Wolfville, Nova Scotia, the Annapolis Valley, the Eastern Shore, the fishing village of Prospect Cove and the Shubenacadie River Valley. The highest Tides in the world occur at Truro, NS. You’ll also be driving to Cheticamp on the highway right beside the best viewing point for them too. It might be worth timing your trip so you can see the tidal wave (the tidal boar) which comes up the river every day. Also, the maple trees turn to their fall colors around Halifax, Truro and Annapolis Valley about a week before they do in Cape Breton. If you’re going to extend your trip you should do it before the tour as opposed to after the tour. You won’t be disappointed. * Shared accommodation discounts are available for friends/partners sharing the same room. There is only one bed per room so photographers choosing to share a room will have to either share the same bed, or draw straws for the coach!!! Contact me for details if you and a friend want to share a room and each receive $100 shared accommodation refund on your registration. ** The Itinerary is weather dependant and may change due to weather conditions and/or any other extraneous conditions that may arise. This flexibility is needed to ensure that I deliver to you the best tour possible. I’ll be balancing the weather conditions that we’ll have during the tour, my experience in the area, the seasonal location availability and present industry conditions. I’m going to use my diverse experience to deliver the my best tour possible over the weekend. We understand that life sometimes gets in the way of some of our guests plans and they have to cancel a tour. We have to balance that understanding with our business needs as well. To that end, we have come up with a cancellation policy that brings balance to both sides of the equation. We want to be understanding, but we also need to meet our commitments to the tour and our related business expenses. By purchasing your ticket on the tour you agree to the cancellation policy outlined below. I thank you for your interest in my tours. I truly enjoy hosting them. However, if for some reason we have to cancel a tour we will guarantee a 100% refund of the entire tour registration fee. We limit our liability in the unlikely event of a tour cancellation up to and including the tour registration fee paid. We do not accept cancellation liability, or any other financial liability, over and above the registration fee of the tour. The Cape Breton Fall Colors Tours will never be canceled due to low registration though. If one person is registered on a Cape Breton Fall Colors tour, we’re going ahead with the tour, given that all other factors are viable. You can rest assured that if you purchase a ticket for the Cape Breton Fall Colors Tour the tour will not be cancelled due to low registration. – Refunds are not permitted. All sales are final. – A photographer may transfer their tour registration to another photographer for an additional fee of $100.00 payable at the start of the tour. Brian Merry must be notified of the transfer at least 48 hours before the start of the tour or the transfer won’t be allowed. – Tour registration, refundable fee and/or cancellation fees are not transferable to another workshop, tour or conference in the event a participant decides to cancel their spot on the tour.